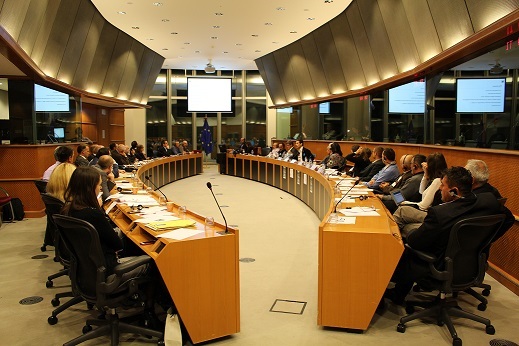 An event organised in the European Parliament shows how hydroelectricity is wrongly perceived as a green energy despite its important impacts on the environment. 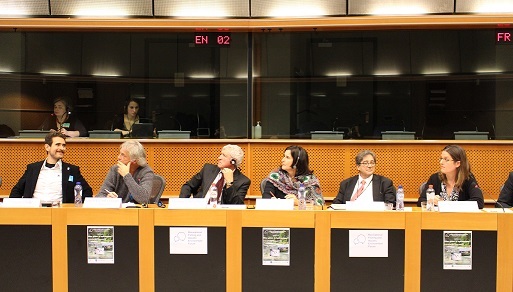 Organised by the Recreational Fisheries and Aquatic Environment Forum in the European Parliament on the 10th of November, the conference entitled “How green is hydropower?” addressed a widely unknown aspect of “renewables” in a time of crucial decisions for the future climate and energy policies. 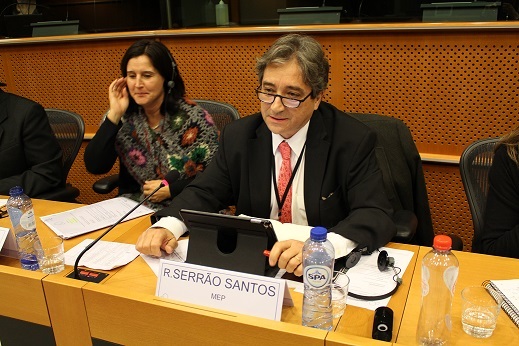 Different speakers from the scientific community and environmental NGOs such as WWF highlighted how the presence of dams affects water quality and makes fish migration almost impossible, upholding the impoverishment of European rivers. Some engineering works are built to mitigate these effects but water level fluctuations still cause important damages on fish populations and biodiversity balance (vegetation, river banks filling, stream banks alterations, invertebrates and young fish mortality…). It is also proved that dams contribute to release methane - a greenhouse gas - in the atmosphere. 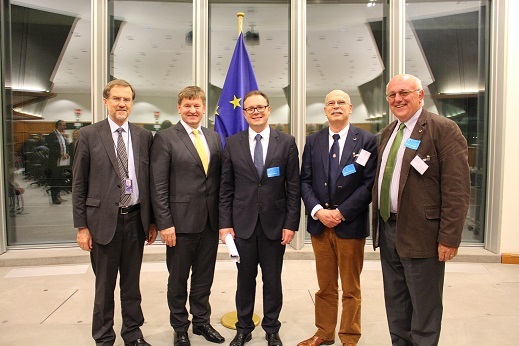 The European anglers, who organised this event, consider that this important information should be taken into consideration when assessing the role that hydropower can play to reach the EU energy and climate targets or when deciding on new hydropower projects funded with public money. 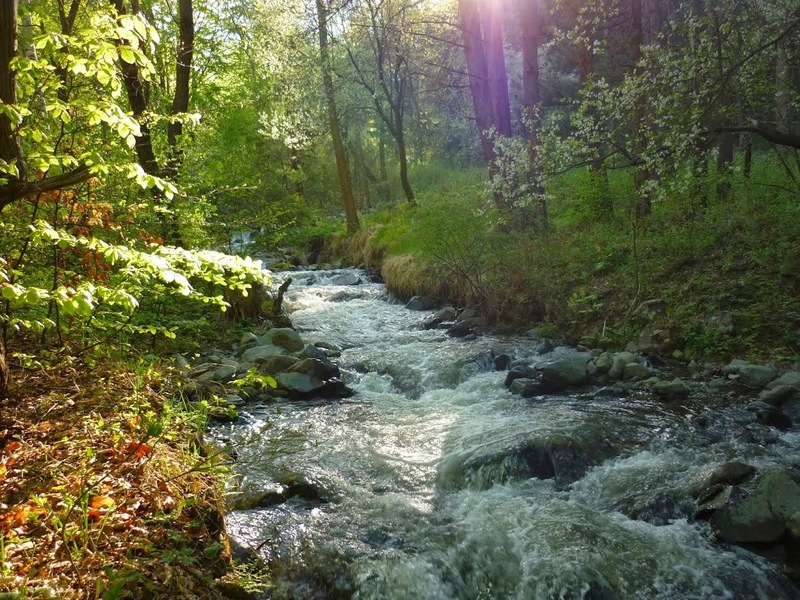 The reviews of the implementation of the European Union’s environmental legislation show that the state of the rivers in Europe is alarming, with failing fish populations being one of the most common reasons for failure in the Water Framework Directive and that hydroelectricity has much to do with this. When all EU’s biggest rivers are already dammed, the development of hydropower now mainly concerns small scale plants in little rivers endangering fragile ecosystems while producing only a small amount of energy. For example, around 7300 of the 8000 hydropower plants in Germany are small hydropower plants producing 8-10% of the total generated electricity from hydropower and covering only 0.05% of the total electricity consumption in Germany. 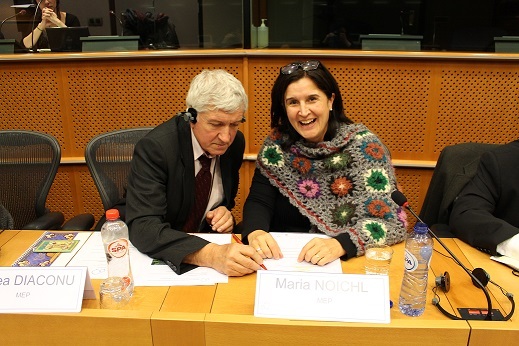 What is more, many projects to build new plants are under way, included inside Natura 2000 areas, where the most valuable and threatened species and habitats in the EU can be found. The next Recreational Fisheries Forum’s event will focus on the Danube River and its endangered ecosystem including the iconic Huchen (Danube salmon). 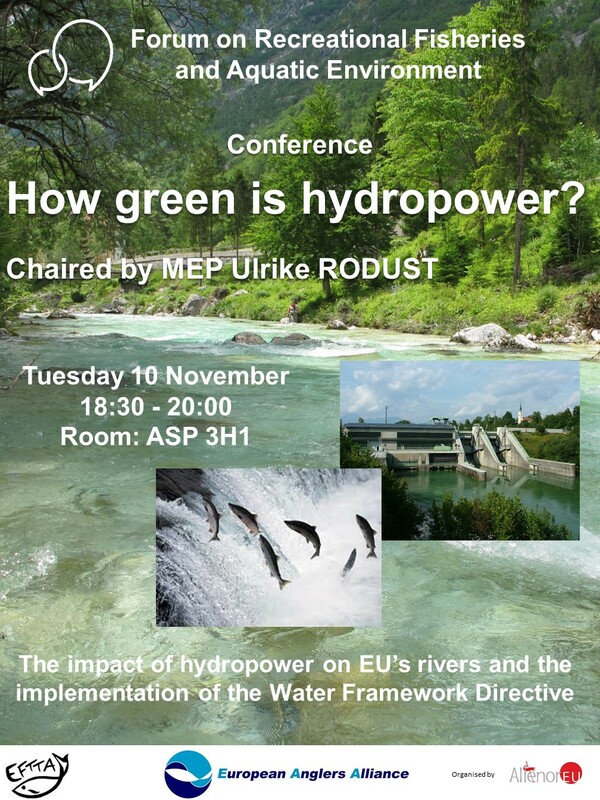 MEP Ulrike Rodust, the European Anglers Alliance (EAA) and the European Fishing Tackle Trade Association (EFTTA) are glad to invite you to the conference “How green is hydropower? 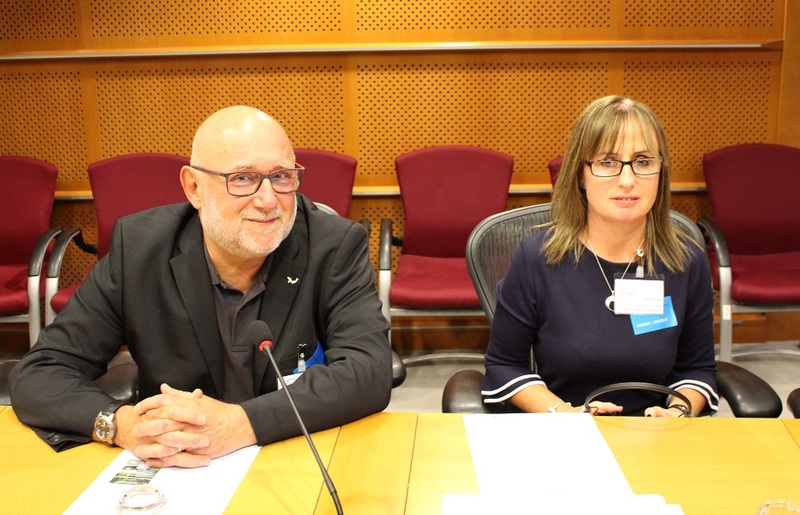 The impact of hydropower on EU's rivers and the implementation of the Water Framework Directive” organised by the European Parliament Forum on Recreational Fisheries and Aquatic Environment. 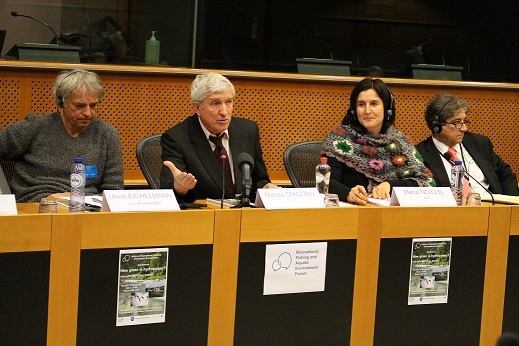 The objective of the event is to raise awareness about the negative impacts of hydropower, and especially small dams, on the EU’s rivers ecosystems (e.g. affecting water quality and fish migration). The event will also be an opportunity to find out how the Water Framework Directive applies to hydropower and to discuss the current situation in EU Member States. You can download the programme of the conference here.